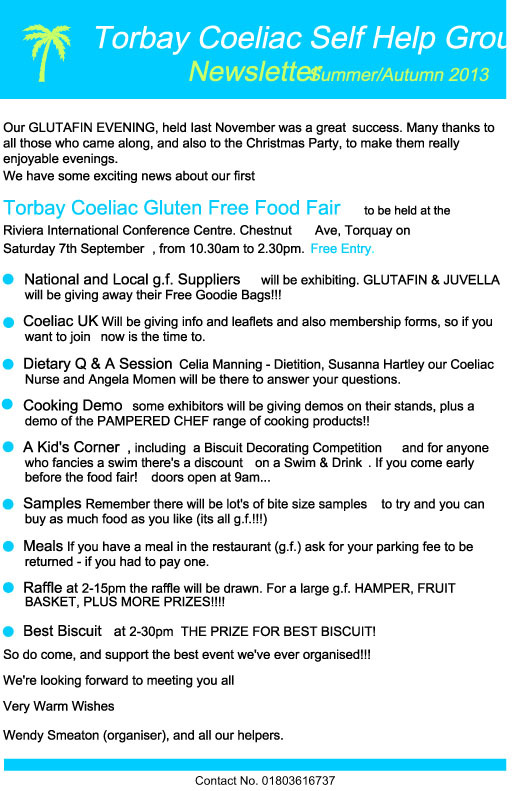 The Torbay Coeliac UK Voluntary Support Group are holding a food fair on 7th September. 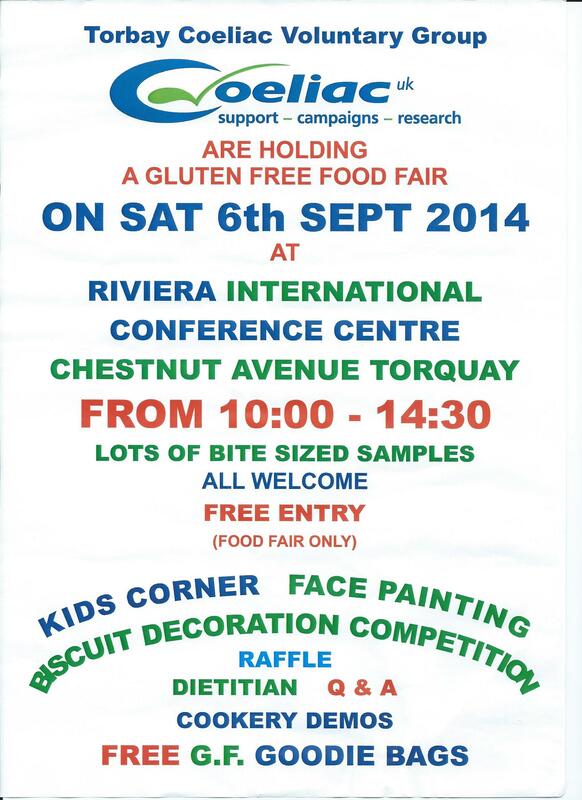 The event will be held at the Riviera International Centre in Chestnut Avenue, Torquay and will run from 10:30am until 2:30pm. You will find the food fair in the Grace Murrell Suite, which has its own entrance at the far end of the car park. If you buy anything at the cafe they will refund your car parking fee. Local producers will be joined by national brands such as Newburn Bakehouse, Glutafin and Juvela. There will be plenty of bite size samples available, and Glutafin and Juvela will also be giving out free goodie bags. The will be a question and answer session with a dietitian and Coeliac UK will also be present so a great chance to get information with anything you may be struggling with. Activities for children are also being put on. I know Wendy and her fellow committee members have spent a lot of time and effort putting this event together, and I really hope that the event is a success. So please pop by and support the food fair if you are able to. 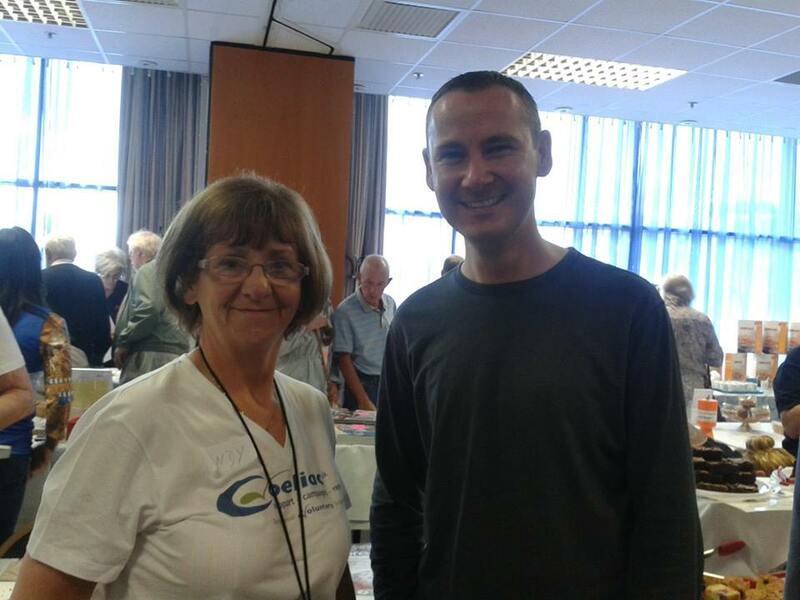 Wendy is keen to put on similar events in the future if this one is well attended.